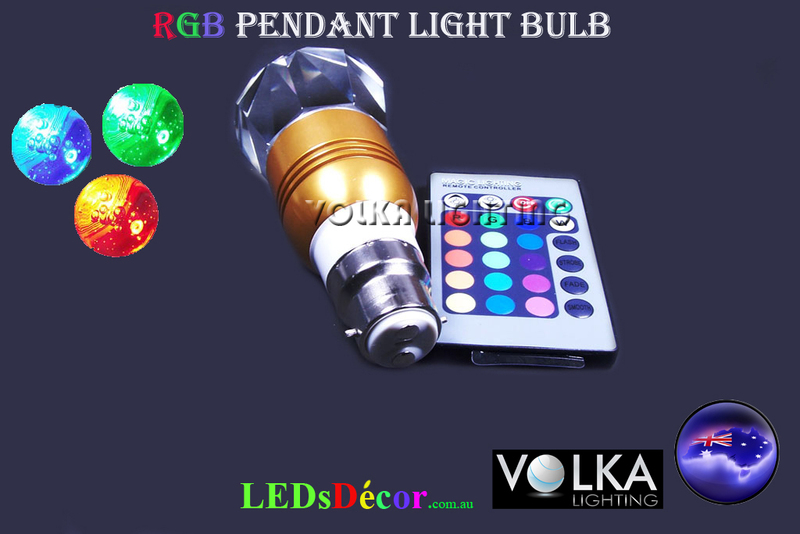 3W RGB Crystal Household Led Light Bulbs With Remote Control - VOLKA Lighting Pty Ltd.
RGB LED lighting globe is a sophisticated lighting solution ideal for providing unique design features. Use it as a pendant light to ignite your interior and it will be one of the key features of your décor. Turn your room into a red room, blue room, go through all the colours for a party, or leave it on a dimmmable white for subtle romance. Simply push a button, get a colour! 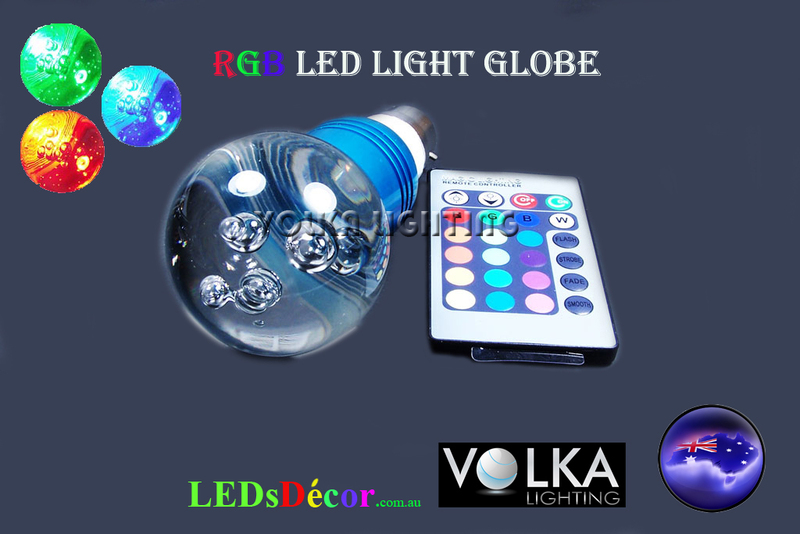 This remote control has 16 colours and 4 effects-flash, strobe, fade and smooth. 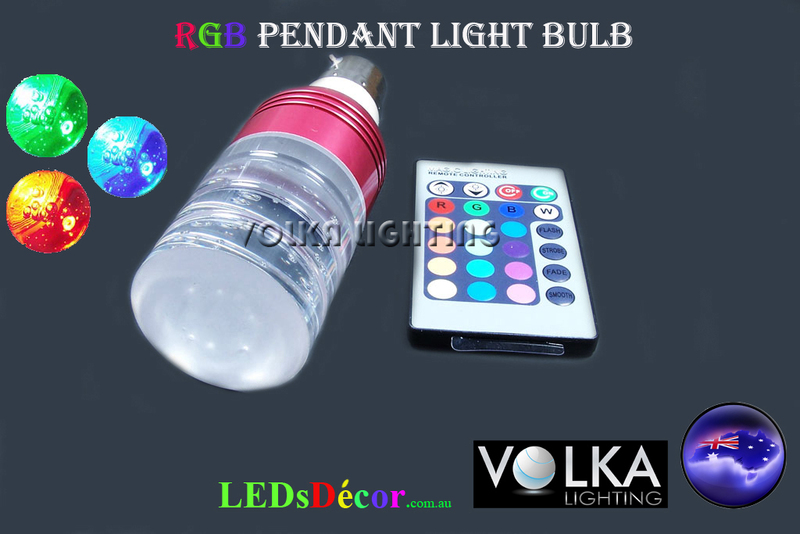 Click the button below to add the 3W RGB Crystal Household Led Light Bulbs With Remote Control to your wish list.